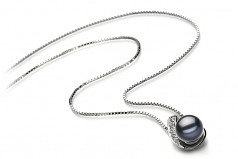 With a flare of elegance, the Claudia Black 7-8mm AA Quality Freshwater 925 Sterling Silver Pearl Pendant swoops down and cradles the black freshwater pearl within its palm. 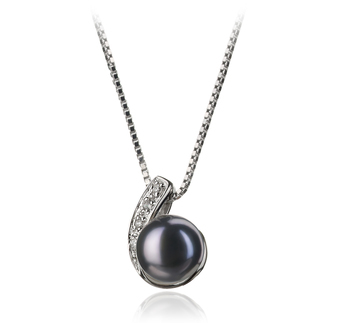 The .925 sterling silver pendant is accented with several cubic zirconia's’ that add a dazzling array of colours to its shine. 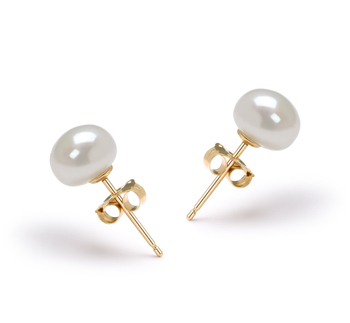 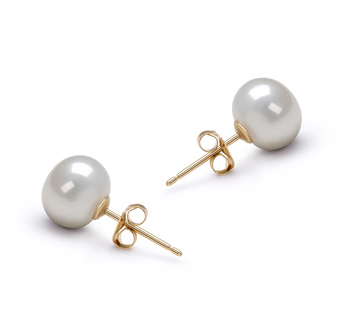 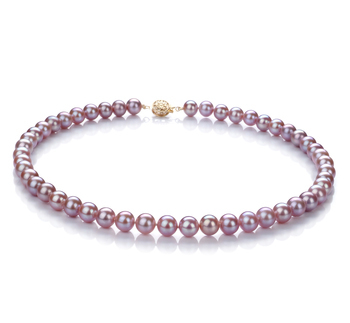 The 7-8mm sized medium sized pearl glows as it’s settled against the sterling silver and dazzling cubic zirconia. 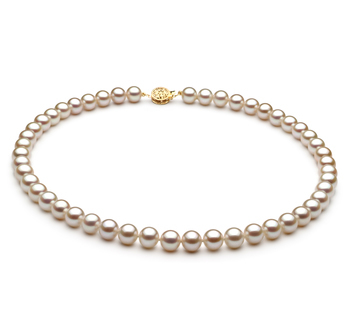 Adding to the dazzle is the pearl’s own magnificent Mirror like AAA lustre that glistens off the surface of the pearl. 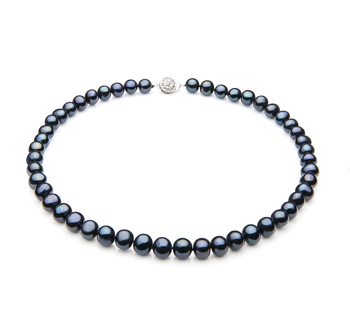 With the nearly perfect AAA shape of the dyed Black freshwater pearl, this set is a shimmering delight worthy of any wardrobe or function. 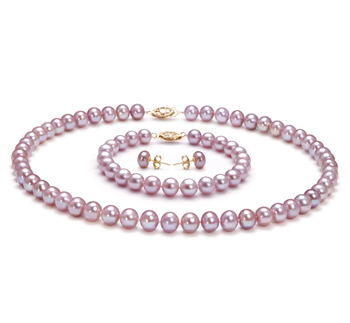 Its style and elegance sets it apart from any other jewellery.